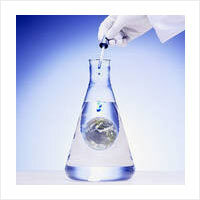 N-Pentyl Bromide, Propionyl Bromide, Ethyl Bromo Acetate - Mody Chemi-Pharma Pvt. Ltd.
N-Pentyl Bromide is also known as Amyl bromide, 110-53-2, n-Pentyl bromide, 1-Pentyl bromide, n-Amyl bromide, Pentyl bromide, Pentane, 1-bromo-, Bromopentane, NSC 7895 and comes with Molecular Formula of C5H11Br and Molecular Weight of 151.04484. Its properties includes Exact Mass of 150.004412, MonoIsotopic Mass of 150.004412, Covalently-Bonded Unit Count of 1, Feature 3D Hydrophobe Count of 2, Effective Rotor Count of 3, Conformer Sampling RMSD of 0.4 and CID Conformer Count of 17. Propionyl Bromide is also known as 598-22-1, AC1L2AXS, AC1Q23YH, 307572_ALDRICH, RIBFXMJCUYXJDZ-UHFFFAOYSA-, EINECS 209-924-0, ANW-33361, Propanoyl bromide, Propanoyl-bromide and comes with Molecular Formula of C3H5BrO and Molecular Weight of 136.9752. It has H-Bond Acceptor of 1, Rotatable Bond Count of 1, Exact Mass & MonoIsotopic Mass of 135.952377 and Topological Polar Surface Area of 17.1. Some of its other properties include Heavy Atom Count of 5, Covalently-Bonded Unit Count of 1, Feature 3D Hydrophobe Count of 2, Effective Rotor Count of 1, Conformer Sampling RMSD of 0.4 and CID Conformer Count of 4. 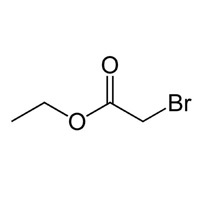 Ethyl Bromo Acetate is also known as Ethoxycarbonylmethyl bromide, Acetic acid, bromo-, Antol, ETHYL 2-BROMOACETATE, 105-36-2, Ethyl bromacetate, ethyl ester and comes in Molecular Formula of C4H7BrO2 and Molecular Weight of 167.00118. It is manufactured through etherification of bromoacetic acid with ethyl alcohol in presence of sulfuric acid as well as through interaction of bromine & acetic acid in presence of red phosphorus. Available in colorless liquid form, it has a pungent odor with Boiling Point of 168.5°C, Density/Specific Gravity of 1.5032 @ 20°C/20°C and Water Partition Coefficient log Kow= 1.12of. 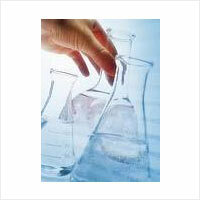 Further, it is soluble acetone, benzene and alcohol and has Exact Mass of 165.962942, MonoIsotopic Mass of 165.962942, Topological Polar Surface Area of 26.3 and Heavy Atom Count of 7.